The International Press Institute (IPI), the global network of editors, media executives and leading journalists for press freedom, today joined 10 other international journalist and press freedom organizations in launching the News Organizations Safety Self-Assessment, a new resource that will help news outlets to review and improve their current safety practices and protocols. The Self-Assessment can be downloaded here. Additional information about the resource can be found below via the ACOS Alliance. This resource is a collaboration between the ACOS Alliance and the Committee to Protect Journalists, the Dart Center for Journalism & Trauma, Free Press Unlimited, Frontline Freelance Register, the International Federation of Journalists, International News Safety Institute, International Media Support, International Press Institute, the International Women’s Media Foundation and the World Association of Newspapers and News Publishers. The News Organizations Safety Self-Assessment comprises a brief set of key questions and guideline notes that should prompt a constructive conversation around safety best practices and encourage practical and effective ways to advance such practices. The Self-Assessment supports news organizations to identify and better understand their own weaknesses and strengths in relation to the security of all individuals working for them exposed to danger, including freelancers. The resource pays special attention to gender issues, mental health care, digital security needs and working with freelancers and fixers, aspects which are often neglected in organizational policy and protocols. The Self-Assessment includes links to relevant articles, reports, guides and other existing resources, as well as a basic glossary. The organizations involved in this initiative recognize the crucial role that news managers, publishers, executive directors and editors play in advancing a culture of safety, and have come together in partnership to create and promote this useful tool. “Although this is a resource primarily aimed at news management, we encourage anyone in the news chain to use these guidelines to learn more about their organization’s safety provisions and start a productive conversation around safety issues,” Elisabet Cantenys, Executive Director of the ACOS Alliance, said. 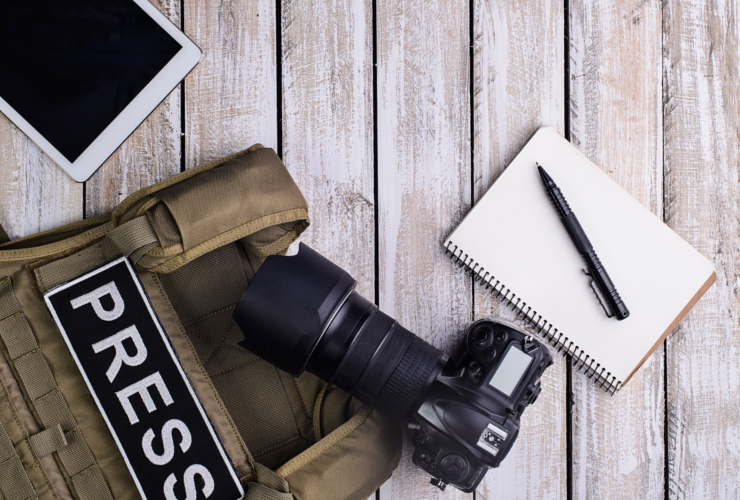 “Keeping safety protocols relevant is a major challenge for most news organizations. Here we offer a practical and useful tool, which we hope will take us a step closer towards embedding a culture of safety. Between now and World Press Freedom Day, May 3, we will be making the Self-Assessment available in five additional languages: Spanish, French, Russian, Arabic and Portuguese. These translations were contributed by the Committee to Protect Journalists. The development of this resource was made possible with the generous support of the MacArthur Foundation and the Open Society Foundations.